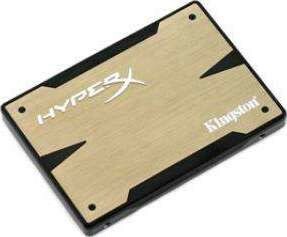 Kingston has launched the HyperX 3K SSD, a new entry in their enthusiast line of client SSDs. The twist with the HyperX 3K compared to its HyperX bigger brother is a simple NAND change. While they both use high-quality 25nm Intel MLC NAND, the 3K is rated for 3,000 P/E cycles where the HyperX is 5,000. The difference in practical terms is modest, most consumers won't ever tax the write life of an SSD in the five year effective life of the drive. Even better then that Kingston offers the HyperX 3K SSD for those who want the great performance the HyperX line provides, with a lower price. We offer express delivery to Dubai, Abu Dhabi, Al Ain, Sharjah, Ajman, Ras Al Khaimah, Fujairah, Umm Al Quwain, UAE for HyperX 3K 480GB 2.5 Inch SSD | SH103S3B/480G. We offer the best price for HyperX 3K 480GB 2.5 Inch SSD | SH103S3B/480G in Dubai, UAE. Buy now with the best price!